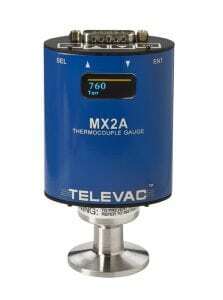 The Televac® MX2A active vacuum gauge utilizes an easily replaceable Televac 2A thermocouple vacuum sensor. 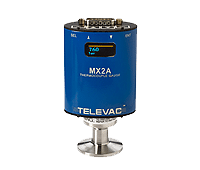 It has a variety of features including a wide range of measurement from 1 × 10-4 Torr up to 1000 Torr, RS-485 communications, two programmable set points, and a selectable analog output. The bright OLED display makes it easy to read from a distance. 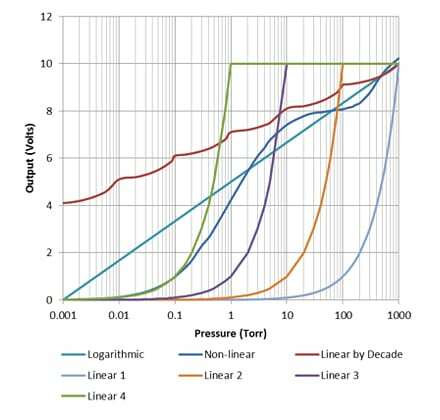 Options can be set from four capacitive touch controls located on the top of the unit or through RS-485 communications. The extensive selection of fittings, simplicity of use, ease of sensor replacement, and competitive cost make this unit an excellent choice for a variety of vacuum applications.